1. Click mouse's right button in the data list, a popup menu will appear as below. 2. Click menu item "Export List", then the "Save As" dialog will appear. 3. 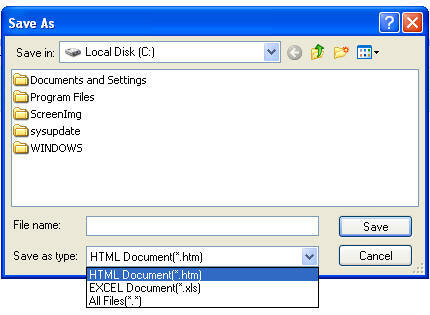 Choose report file type(HTML or EXCEL), enter file name and click the "save" button.